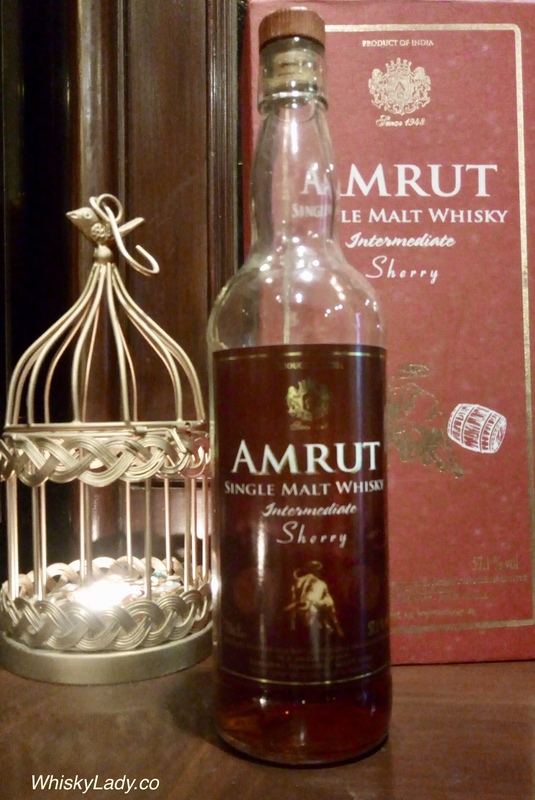 Next up in our Sherry Elements evening was a complete surprise – An Amrut Intermediate Sherry, part of their core line-up purchased by our host around 7 years earlier. We sampled it completely blind, with the reveal shared only after sampling all whiskies in the evening. Palate – At first quite intense, bitter, sour then Wow! Raisins, cocoa, a clear stamp of “Now this is a whisky!” Sharp, bitter but balanced. Then shifted into orange and chilli chocolate. With a lovely mouthfeel, fabulous balance. Water – We decided this one could have a few generous drops of water…So smooth! The Diwali explosion of flavours were softened yet retained its full character. Became even sweeter, almost floral, a crisp dosa smell, then more like crepes with the orange really popping out. What do the folks over at Amrut have to say? 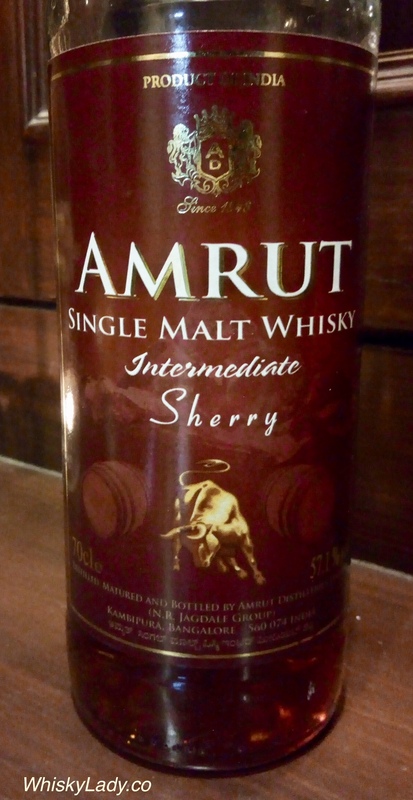 This entry was posted in Beyond Scotland, India and tagged Amrut, Amrut Intermediate Sherry by Carissa Hickling. Bookmark the permalink.